In a nutshell, for the money and size the MP C307 is a powerhouse of a multi function printer. It may look like the baby of the Kopikat family but it’s 10.1″ Ricoh Android Smart Touch Panel runs on the same engine as the MP C3004, MP C4504 and MP C5504. This Multifunction Printer is the most advanced A4 multi-function printer on the market anywhere in the world. The MP C307 is an ideal unit for between 3 and 5 users with a small workload (2000 – 3000 impressions per month), the MP C307 punches way above its weight. They offer users great value for money, and the same Smart Operation Panel and android user interface found on our most popular A3 devices. With the ability to connect to cloud-based solutions and integrate with existing software investments, these units will make a big impression. Plus, with eco-friendly features and security options, users can uphold their commitment to the environment and ensure their data and document integrity stay protected. 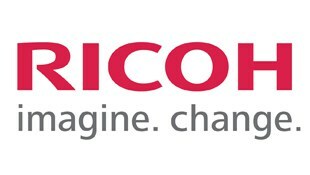 The Ricoh MP C307 is an ideal unit for between 3 and 5 users with a small workload (2000 – 3000 impressions per month), the MP C307 punches way above its weight. They offer users great value for money, and the same Smart Operation Panel and android user interface found on our most popular A3 devices. With the ability to connect to cloud-based solutions and integrate with existing software investments, these units will make a big impression. Plus, with eco-friendly features and security options, users can uphold their commitment to the environment and ensure their data and document integrity stay protected. While the machine’s paper capacity already sits at 250 pages, extra drawers can be added to quadruple capacity. It will into take up floor space, be noisy or intrusive. The Ricoh MP C307 can sit on a desktop or use its own cabinet.